The movie marks the feature directorial debut of versatile media expert, Brian Loschiavo, who has previously worked as a songwriter, screenwriter, producer and documentary series co-creator. The filmmaker worked as Senior Producer for Disney/ABC Television Networks, which allowed him to combine his passion for music and film by co-creating the successful music-documentary franchise, ‘Nashville: On the Record,’ which grew from a digital series into three primetime specials on ABC. Through his work with the ABC/CMT musical television series, ‘Nashville,’ Loschiavo eventually fell in love with and relocated to Music City, and subsequently co-founded the Nashville and Los Angeles-based production company, Riverside Entertainment. After being approached by Erika Wollam Nichols, the Chief Operating Officer and General Manager of the Bluebird Cafe, Riverside Entertainment signed on to co-produce a feature-length documentary about the venue’s storied history. In addition to helming ‘Bluebird,’ Loschiavo who also edited the movie, and served as one of the producers, along with Nichols and Jeff Molyneaux, the film’s cinematographer. 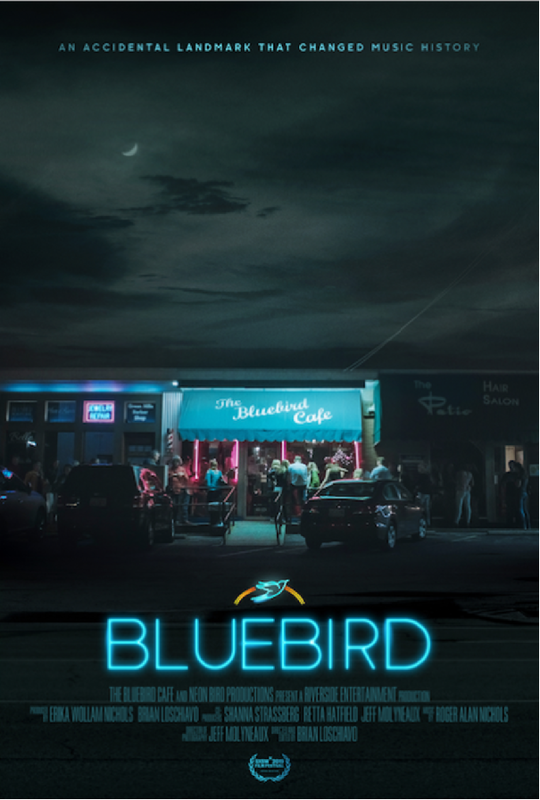 Set in the title suburban strip mall cafe, ‘Bluebird’ chronicles how countless Grammy Award-winning singer-songwriters like Garth Brooks, Faith Hill, Kacey Musgraves and Taylor Swift were first introduced and catapulted into the spotlight. The documentary chronicles the origin stories of music royalty, and also follows emerging musicians as they chase their dreams inside Nashville’s iconic Bluebird Cafe, an accidental landmark that has altered the course of music history, and has become one of the most influential listening rooms in America. Loschiavo, Nichols and Molyneaux generously took the time during last month’s SXSW to sit down for an exclusive interview at The Driskill Hotel to talk about directing, producing, shooting and editing ‘Bluebird.’ Among other things, the filmmakers discussed how they decided to work together to make a movie that chronicles the title cafe’s history after the director and director of photography worked on ‘Nashville,’ on which the Bluebird played an integral part in the storyline. The trio also mentioned how they’re honored that the movie had its World Premiere at SXSW, as the festival combines films and music, and brings passionate fans of both mediums together. The conversation began with Nichols explaining how production on ‘Bluebird’ began, and where the inspiration to make a documentary about the esteemed music cafe came from. “I took over running the Bluebird about 12 years ago, and I had previously worked there as a server in college. So I really wanted someone to document its history, as it had not yet been done. So that was about a 10-year quest to find the right people to help make it happen,” she revealed. Loschiavo then chimed in on the development of the movie. “Jeff and I had both worked at ABC in Los Angeles, and had worked on the show ‘Nashville.’ Through that, we met Erika and worked at the Bluebird, and learned how magical and important it was. We eventually moved to Nashville, and started a production company (Riverside Entertainment),” the director shared.